The sunny weather has created some good conditions on sun affected slopes. 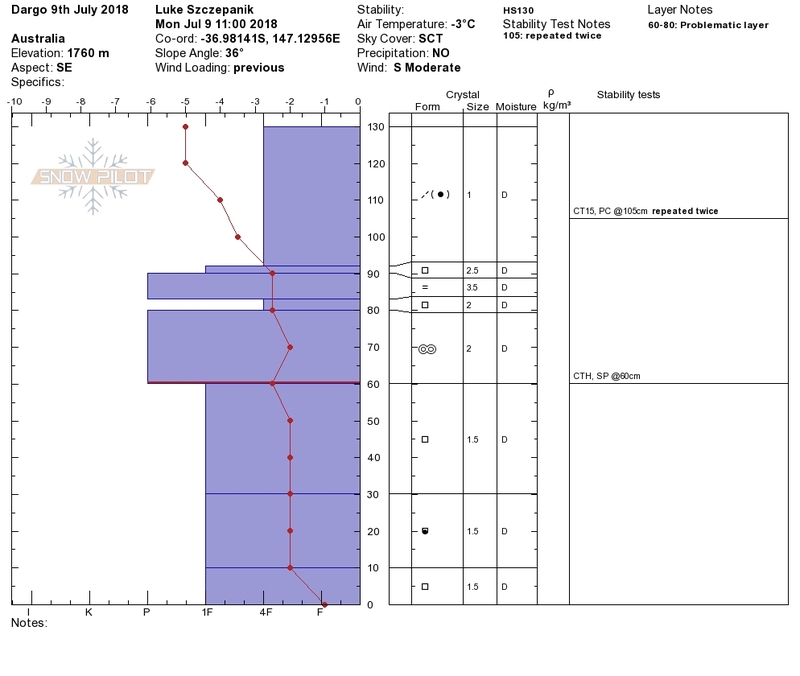 With the top 30mm hardening over night and cold non consolidated snow underneath. On a NE Slope below Mt.Loch at 1820m 29-35deg the snowdepth is 55cm, CT5BP@20cm . OUTLOOK: High pressure , good visibility and the melt freeze will dictate conditions for the near future. We will be looking forward to the next FROTH Event (tues/wedn)and keep you posted! Before dropping in check that surface has softened otherwise you are dealing with a breakeable crust in variable thickness. Non sunaffected slopes are consistently hard.